Hunter-He is a sweet boy that absolutely loves kids. He is a great hunter with a wonderful nose. Hunter loves to give hugs. He is always ready to go for a hunt but is very content to have a night inside by the fire at your feet. 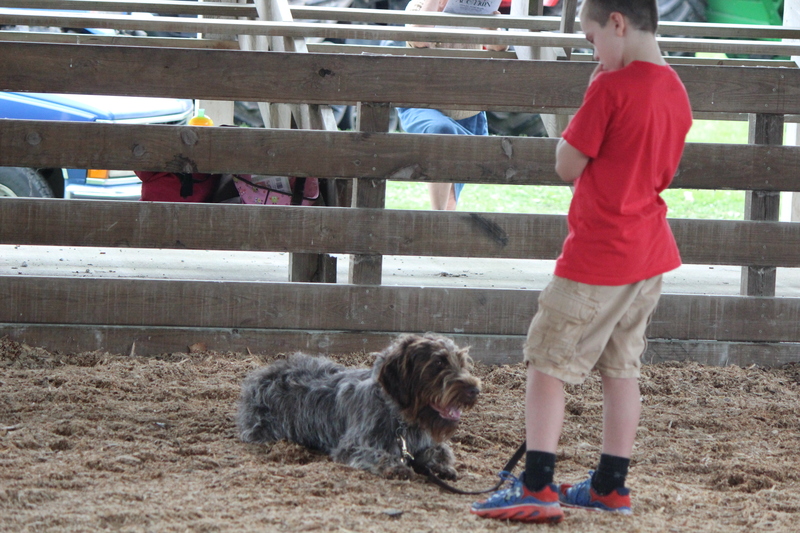 A few years ago, Hunter and our son won the dog obedience at that local fair.